Cross the causeway that links Callawassie Island to mainland South Carolina and you’ll enter a secluded slice of verdant Lowcountry terrain that has been transformed into a remarkable waterfront golf community blending high-quality housing with the finest in recreational amenities. 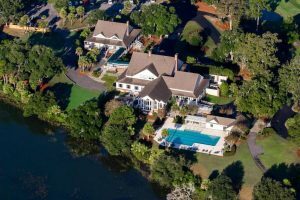 An immaculate 27-hole Tom Fazio-design golf course is the highlight of this 880-acre private oasis, which also features a first-class tennis center, swimming and fitness facilities, a spacious clubhouse and a separate River Club with a community dock. With 11 miles of coastline and fertile salt marshes surrounding a landscape of green meadows and moss-draped oaks, Callawassie Island has been developed in a careful, environmentally sensitive manner that garnered South Carolina’s first Community Wildlife Habitat designation. 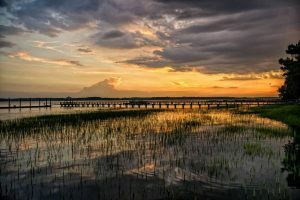 The location is convenient to Hilton Head Island, Beaufort and Savannah, allowing residents to enjoy an idyllic rural lifestyle along with the abundant natural and cultural attractions of the Carolina Lowcountry.